1 big thing: Trump's "Mission Accomplished!" President Trump tweeted this morning: "A perfectly executed strike last night. Thank you to France and the United Kingdom for their wisdom and the power of their fine Military. Could not have had a better result. Mission Accomplished!" Amid distraction and dysfunction, Trump looked and acted like a traditional commander-in-chief last night, announcing a punitive missile strike on Syria that was quite constrained, and was backed by two top U.S. allies. Why it matters: The strikes were narrowly retaliatory against use of chemical weapons, and not designed to overthrow or even especially destabilize the Assad regime. Trump said in his brief address to the nation that Assad's "evil and the despicable attack left mothers and fathers, infants and children, thrashing in pain and gasping for air. These are not the actions of a man; they are crimes of a monster instead." 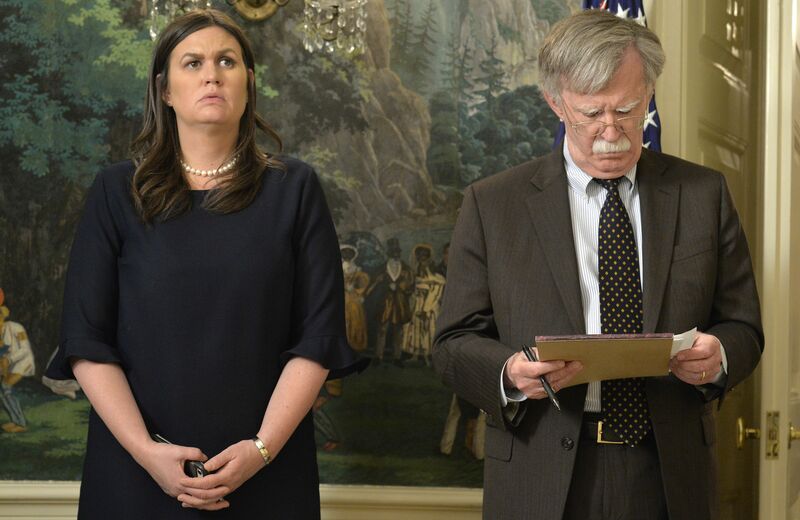 Perhaps his most consequential line: "We are prepared to sustain this response until the Syrian regime stops its use of prohibited chemical agents." The response had a situational quality: While predictable after this week, it was not the product of a sustained or articulated philosophy or policy. On the contrary, as Jonathan Swan points out, Trump has been conflicted and contradictory, saying he wanted to get out of Syria but then re-engaging after seeing photos of dead and dying children from the latest attack. NBC's Andrea Mitchell reported a very big concern in the Pentagon about "avoiding a wider war." The Wall Street Journal reports that Trump pressed Defense Secretary Jim Mattis "for a more sweeping military option that would deter Syrian President Bashar al-Assad from launching any more chemical attacks." But Mattis "wanted a more limited action that wouldn’t risk a wider confrontation with Russian forces occupying a piece of the Syrian battlefield." The early-morning strikes were squarely on the Mattis side. At a Pentagon briefing an hour after Trump addressed the nation from the White House, Gen. Joseph Dunford, chairman of the Joint Chiefs of Staff, said the three targets were "specifically associated" with chemical weapons. Mattis, briefing side by side with Dunford, called the strikes a "one-time shot": "Right now, we have no additional attacks planned." 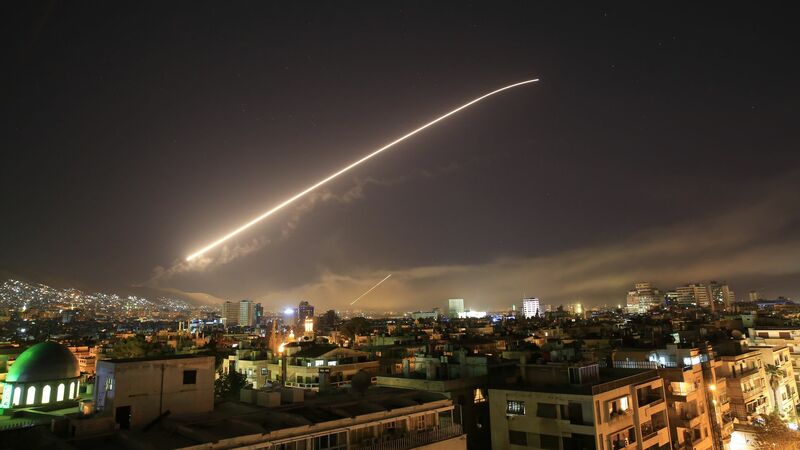 The bottom line, from Reuters: "The bombing represents a major escalation putting the West in direct confrontation with Assad’s superpower ally Russia, but is unlikely to alter the course of a multi-sided war which has killed at least half a million people in the past seven years." Be smart: Key voices in Trump's base continue to resist overseas intervention. A former Trump campaign office tells Swan: "strikes not supported by base ... 'massive' strikes repulses the base." 2. "I ordered the United States armed forces ... "
"To Iran, and to Russia, I ask: What kind of a nation wants to be associated with the mass murder of innocent men, women, and children?" "America does not seek an indefinite presence in Syria under no circumstances. As other nations step up their contributions, we look forward to the day when we can bring our warriors home." "No amount of American blood or treasure can produce lasting peace and security in the Middle East. ... The United States will be a partner and a friend, but the fate of the region lies in the hands of its own people." CFR President Richard Haass said he thinks President Trump "was right to attack CW-related sites to send the message that CW use is unacceptable and will bring punishment." Haass said the strikes "were not intended to unseat the Assad regime or to directly protect the Syrian people. The President’s statement reinforced such realism. " Haass added: "[W]hat took place sheds little additional light on the future of U.S. policy toward Syria. ... I would have liked him to have fleshed out something of a Syria strategy, including keeping modest levels of U.S. force in country for the foreseeable future and providing humanitarian assistance." Ian Bremmer, president of the Eurasia Group, called it "a notable escalation —more strikes than a year ago," and part of a coalition. Bremmer points out that the joint action with London and Paris makes Russian or Iranian retaliation more challenging. Bremmer said he'd be stunned to see direct Russian military retaliation, since "for all the headlines, this wasn’t a particularly risky maneuver." Bremmer said Trump gets to show he’s no Obama "on red line issues — which will once again be broadly popular internationally." What's not going to change, per Bremmer: The U.S. "has marginal influence on the ground and that’s not going to change." Bremmer said the bigger concerns "seriously deteriorating" U.S. relations with both Russia and Iran, which is mostly about other issues, like Russian cyber interference and doubt about the Iran nuclear deal. 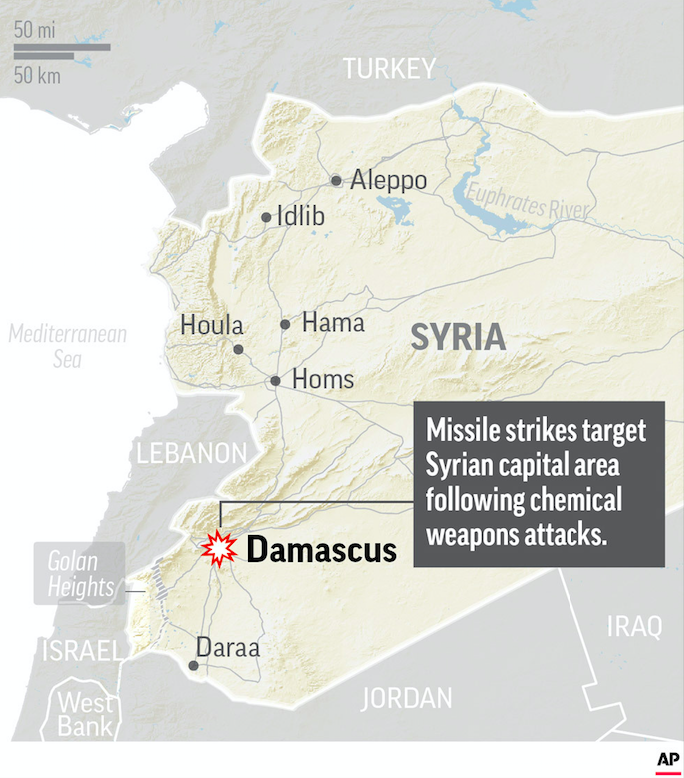 The strike on Syria "further complicates both." 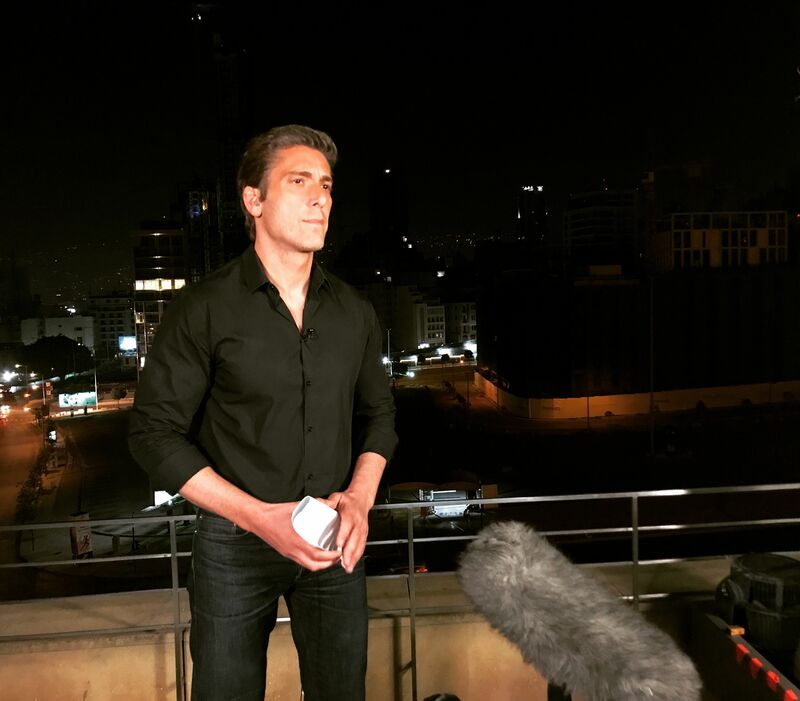 ABC's David Muir anchored coverage last night (including a live edition of "20/20") from Beirut — the capital of Lebanon, which shares a border with Syria. 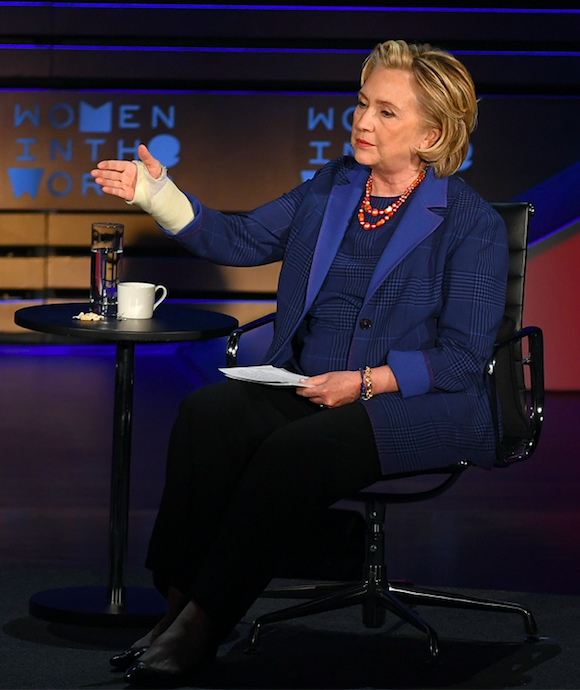 "I have never met Hillary Clinton, although I tried. When I became the United States Attorney for the Southern District of New York in January 2002, I asked my assistant to arrange an introduction to the state’s junior senator." "After a number of attempts and multiple messages with Clinton’s office, we gave up. It wasn’t a big deal at the time, but I found it odd. To this day, I don’t know why the meeting never happened." "The unreturned messages in early 2002 [may have been] due to the fact that my office was then supervising an investigation into Senator Clinton’s husband’s pardon of fugitive oil trader Marc Rich." For his initial announcement about Clinton's emails, "I was intentionally wearing a gold tie so I wasn’t displaying either of the normal political gang colors, red or blue." 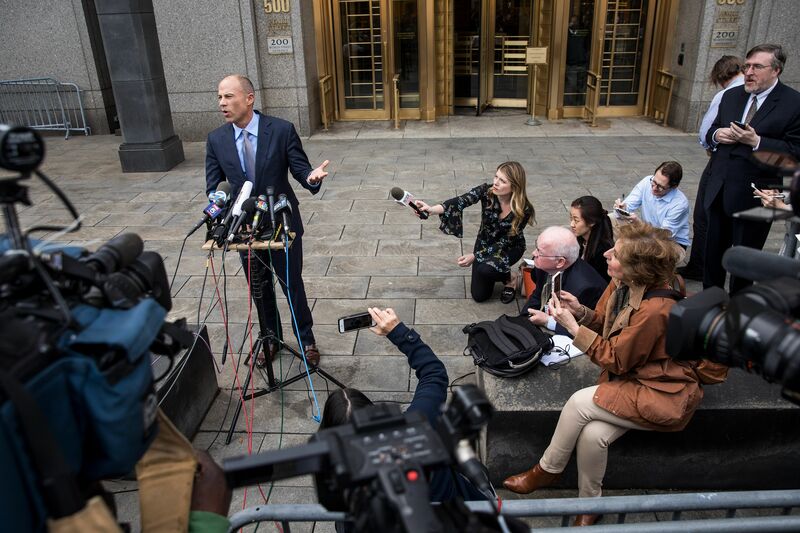 "My thinking was that if I started with the conclusion that we were recommending no charges, nobody would listen to the rest of what I said. ... I’ve taken some abuse, including from my beloved family, for 'Seacresting it' by which they mean imitating the dramatic tease." "[I]f I had it to do over again, I would do some things differently. I would avoid the 'Seacresting' mistake by saying at the beginning of my statement that we weren’t recommending charges. ... More important, I would have tried to find a better way to describe Secretary Clinton’s conduct than 'extremely careless.'" "The 2016 presidential election was like no other for the FBI, and even knowing what I know now, I wouldn’t have done it [his broader conduct about the investigation] differently, but I can imagine good and principled people in my shoes making different choices about some things." "I think different choices would have resulted in greater damage to our country’s institutions of justice, but I’m not certain of that. I pray no future FBI director is forced to find out." "In late November, after the election, I was in the Oval Office for a national security meeting with the president and other senior leaders." "As the meeting broke up, he asked me to stay behind. I sat on the couch, back to the grandfather clock." "He sat in his normal chair, back to the fireplace. The White House photographer Pete Souza lingered to record the moment, but the president shooed him away. Within seconds, it was just the two of us." "President Obama then leaned forward, forearms on his knees. He started with a long preamble, explaining that he wasn’t going to talk to me about any particular case or particular investigation." The Intelligent Dairy Farmer’s Assistant, from Connecterra, "uses a motion-sensing device attached to a cow’s neck to transmit its movements to a program driven by AI." "The sensor data, when aligned repeatedly with real-world behavior, eventually allows IDA to tell from data alone when a cow is chewing cud, lying down, walking, drinking or eating." "Those indicators can predict whether a particular cow is ill, has become less productive, or is ready to breed." Thanks for reading! We'll have updates all weekend on Axios.com.